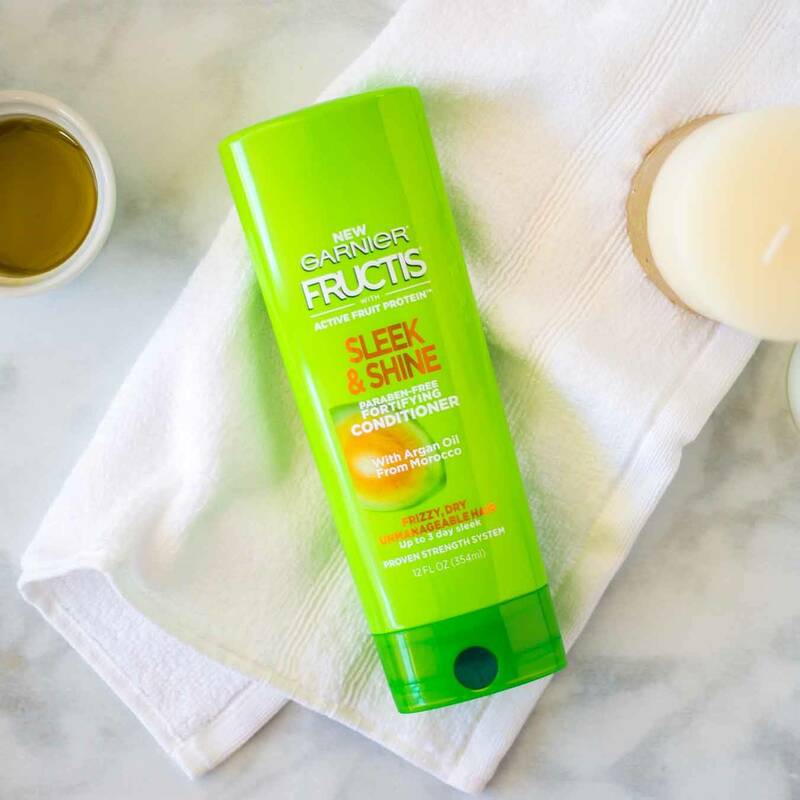 Fructis Sleek & Shine Conditioner with fairly & sustainably sourced Argan Oil from Morocco soaks into frizzy, dry hair to smooth each strand. Long lasting frizz control even in 97% humidity*. Rated 5 out of 5 by enishic from This makes my hair super soft after shampooing. I think it worked great for my dry scalp! 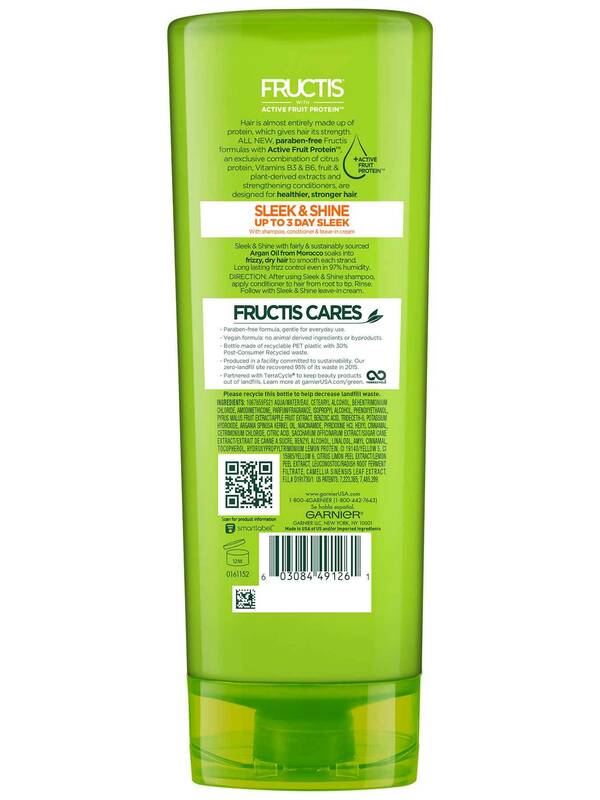 The smell is so delicious ... its a really good overall conditioner. 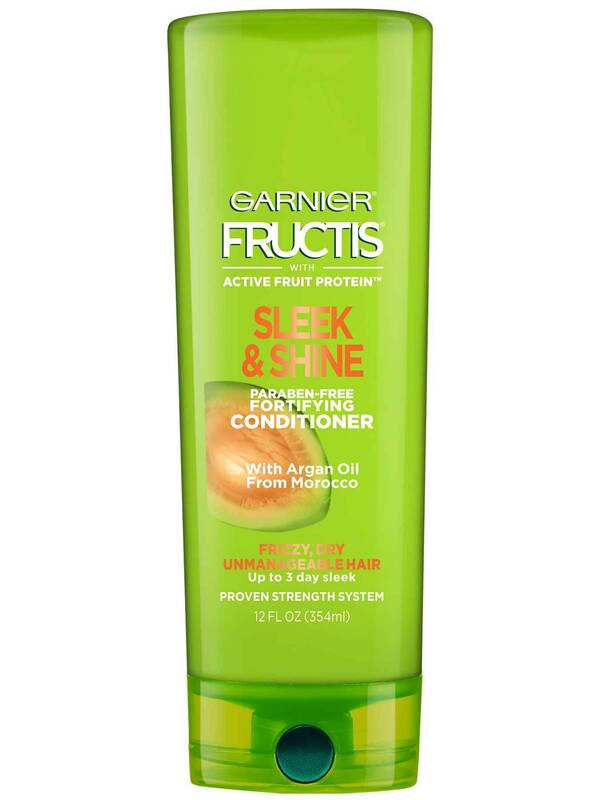 Rated 4 out of 5 by member9960b1 from I love the smell of all Garnier products. I typically don't use conditioner at the roots, just at the ends because I have somewhat oily hair. My hair smells and feels nice for about 24 hours, before I need to rewash or apply dry shampoo. If you have oily hair like me, I'd recommend only putting this at the tips of your hair because it will bring more oils out. Rated 4 out of 5 by meitachi from The sample I received was decent, and the scent was great. It was intended to target frizz and while it did help the day after, I don't think it had the effect I was looking for. Price is decent, product is available at many locations. Overall, I'd try it again if it was on sale. Rated 5 out of 5 by luluvicari from Just the like the shampoo this works really good with my hair(i have fine wavy hair) which can get frizzy sometimes, but with this conditioner i dont have to add a leave in or anything of that sort. I haven't bought it in a while so i cant remember prices but they are not expensive. Rated 4 out of 5 by swanlo from I loved the nice scent of the conditioner and the scent lasted long. It gave great slip to my hair and detangled it nicely.